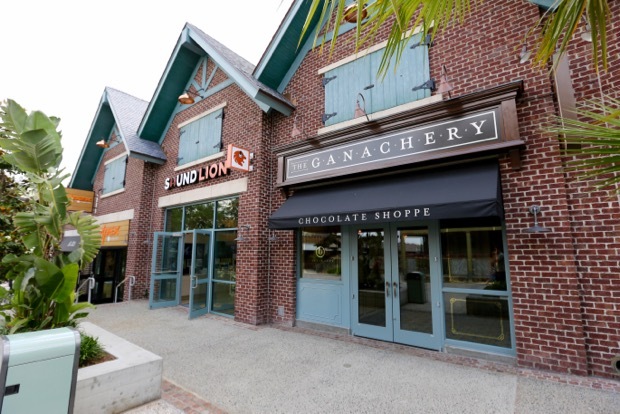 Disney Springs consists of several different neighborhoods, featuring more than 150 stores, restaurants and entertainment locations. 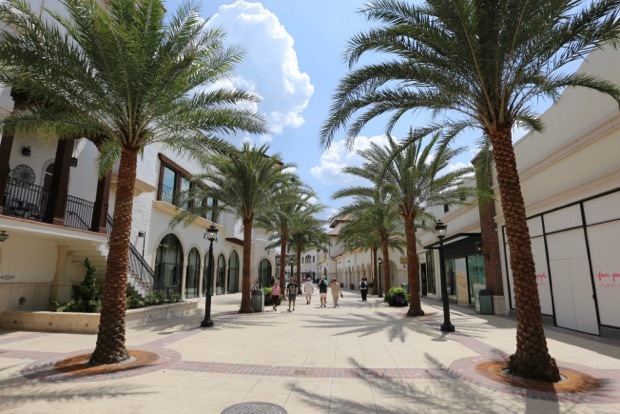 The neighborhoods are named Town Center, The Landing, West Side, and Marketplace and each has a distinct feel. As Disney tradition goes, the area has a backstory explaining the history. The idea is that the town grew up around a spring, and guests can see the evolution in the environment as the town has grown and changed. This spring is what connects the neighborhoods along the waterfront. 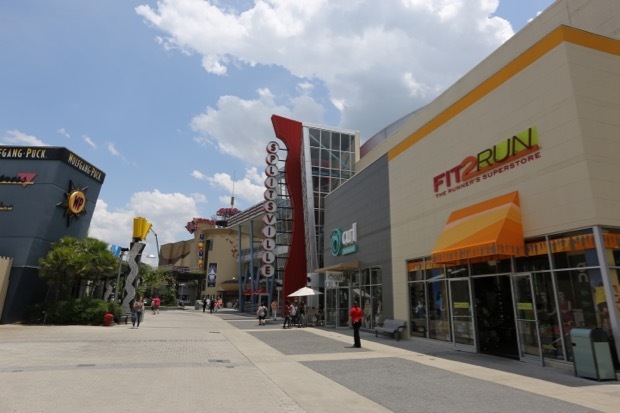 The area's main commercial district, with waterfront views and themed dining. 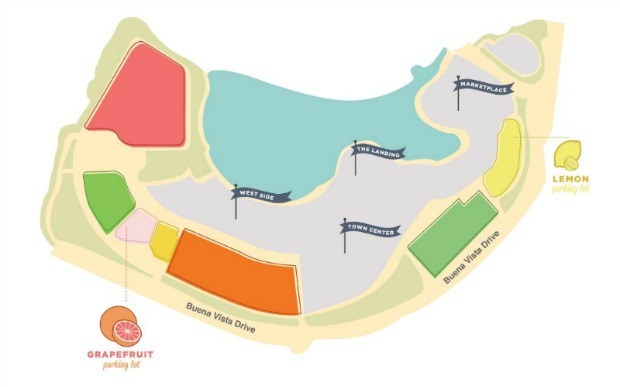 The different sections of parking at Disney Springs are all named after fruits that are grown in Florida. There are two parking garages - the Orange Garage and the Lime Garage. As you're going up the ramp through the garages, you'll see electronic signs indicating how many parking spots are available. Once you turn into the row, you'll see a green or red light above each parking spot on level 2-4. Green means the space is empty, red means the space is full. Overflow lots will be marked with overhead signs. This is offered daily from 10:00am-11:30pm, every 20 minutes. Yellow route - Sassagoula River Cruise goes to and from Port Orleans French Quarter and Riverside from the Marketplace Dock. Green route - services The Landing to and from Old Key West. Red route - Disney Springs Water Taxi at the West Side Dock, The Landing Dock and the Marketplace Dock. Route is West Side, Marketplace, and The Landing. This route is open until 1:00am. Preferred parking is available in both the Grapefruit and Lemon lots. These lots are located next to the West Side and Marketplace respectively. 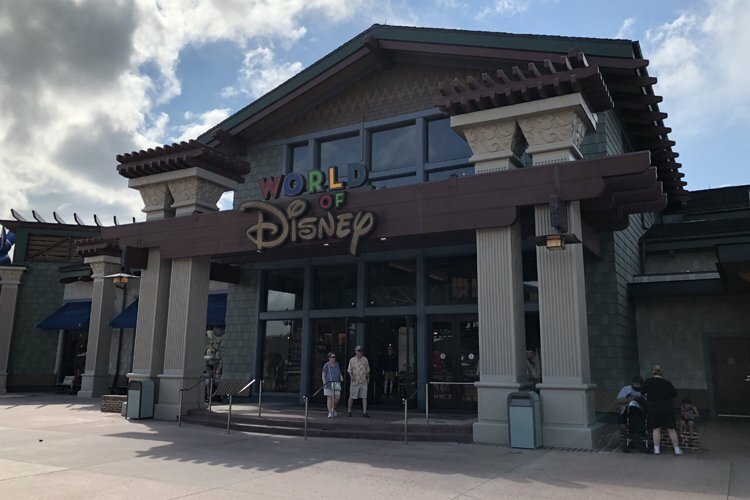 The cost for the preferred parking at Disney Springs is $10.